Click the property below for more information and to make an enquiry - hope to see you soon on Norfolk Island! Check out some of our best value Norfolk Island HOT DEALS for years here. 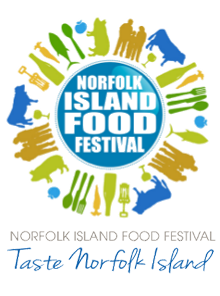 We’re now on Facebook in an effort to spread the word about Norfolk. You can also check out our new photos here. In the Latest news – looks like super fast Internet is also on its way on the Island! I wanted to forward you on a note to say thank you so much for all your help with our event in February. I really couldn’t have done it without your help. Both you and Dave bent over backwards to make sure the trip went without a hitch, and it did. Thanks Louise. It was a pleasure and we love hearing feedback like yours! Norfolk Island is located in the South Pacific Ocean, east of the Australian mainland. First settled in the 14th Century, it is home to around 2,100 residents, and a vast array of wonderful flora and fauna. Norfolk Select has specialised in holidays to Norfolk Island in excess of 20 years and with our knowledge of the island, we can recommend you the best tours, the best restaurants and even the best people! It’s a very friendly Island with the locals keen to show off their slice of paradise.